“I Wonder … ” celebrates the culture of black men, set to a soundtrack of music by Stevie Wonder. The piece by dance professor C. Kemal Nance will be featured in the dance department’s February Dance performance Feb. 7-9 at Krannert Center for the Performing Arts. CHAMPAIGN, Ill. — Dance faculty members and alumni will present their work at February Dance this week. The dance performances are a continuation of the University of Illinois dance department’s 50th anniversary year. “Dancing 50: Moving Forward/Looking Back” is a yearlong celebration of the 50th anniversary of dance becoming an autonomous department. It began with November Dance, and the theme running throughout the celebration is having alumni either co-choreograph a work or return to perform. February Dance will be performed Feb. 7-9 at Krannert Center for the Performing Arts. 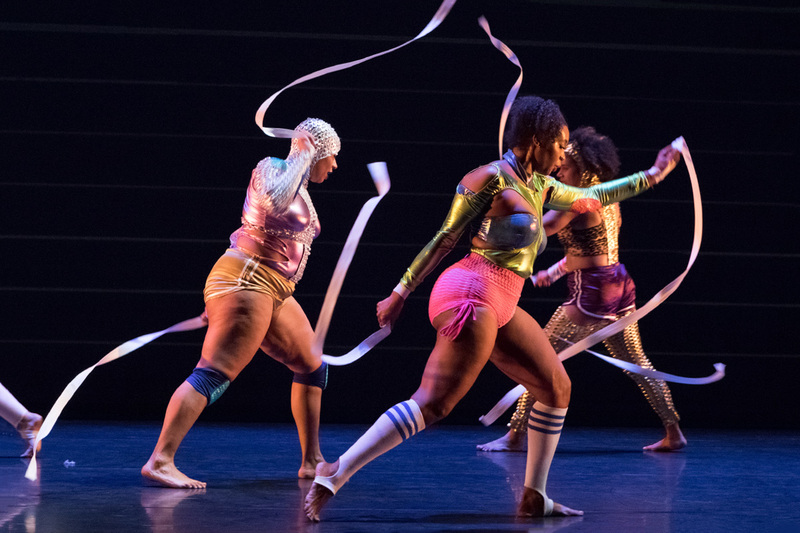 Dance professor John Toenjes worked with alumna Renata Sheppard to create “Patina,” a work that weaves together technology and the creation of art using paper and charcoal. “Patina” was choreographed by Sheppard, who is based in Virginia. Toenjes composed the music for the work, and he’s overseen rehearsals and handled camerawork. He described “Patina” as part dance and part art installation. The dancers use charcoal to draw patterns on paper spread across the stage. An overhead camera projects the images for the audience to see. The geometry of their drawings is echoed by the dancers’ movements, and the charcoal they use rubs off on their skin, creating patterns on them as well. Sheppard is a paper artist as well as a choreographer, and the dance features a giant paper skirt and paper sculptures that she made. Dance professor Endalyn Taylor co-choreographed “Kueendom of the Shade” with alumnus Raheim White, a Chicago-based dancer. Both perform in the piece, along with undergraduate and graduate students in dance. Taylor found inspiration in the various types of movement that have influenced her – classical ballet training, social dances and the traditions of her church she learned while growing up. She and White used parts of many dance genres to build the choreography together. “Embracing all aspects of ourselves really comes through in the work,” she said. Dancers perform in “Tether,” a new work by dance professor Cynthia Oliver. The choreography reflects the notion that we are all tied to one another through our relationships. The new dance/theater piece is motivated by the idea of relationships and how we are all tied to one another, Oliver said. She imagines the female dancers as intergalactic warriors. 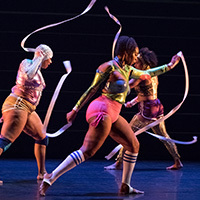 The choreography uses the notion of the power in women’s bodies from her Caribbean roots, and it also borrows from the jump-rope game double Dutch. “I Wonder …” is a piece that dance professor C. Kemal Nance has always wanted to make. It is inspired by the music and lyrics of Stevie Wonder, and it celebrates the culture of black men. Nance will perform it with three alumni, along with undergraduate and graduate students. “Stevie Wonder has written some of the most beautiful love songs of our time. He also wrote a lot of songs about black men and a proactive way of being black. Some of the love songs are even coded with that language. I wanted to highlight some of that,” he said. 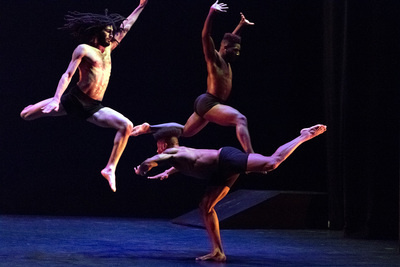 The movements are inspired by both African dance traditions and contemporary dances, he said. The piece was chosen to represent the U. of I. dance department at the American College Dance Association regional conference in March. Editor’s note: For more information about February Dance, contact Rebecca Ferrell at rferrel@illinois.edu.